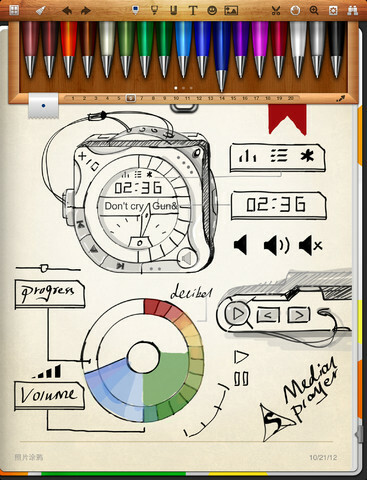 Noteshelf is an application for taking notes on our iPad with an incredible user interface and a wide range of tools that certainly extended far beyond the utility of our device. Since I met this implementation was surprised by the number of tools it contains. 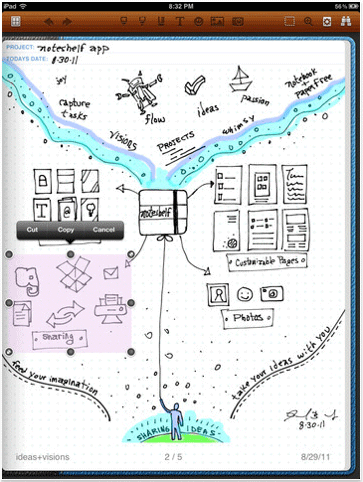 If you are studying and using the iPad as a way to take notes, you are pursuing a career that requires making sketches and drawings as architecture, office meetings taking notes or just like to draw, this is your app. I do a review of its main features below. Personalize your notepad. You can choose for each deck and choose from different types of page. If you do not convince you, you can create your own. 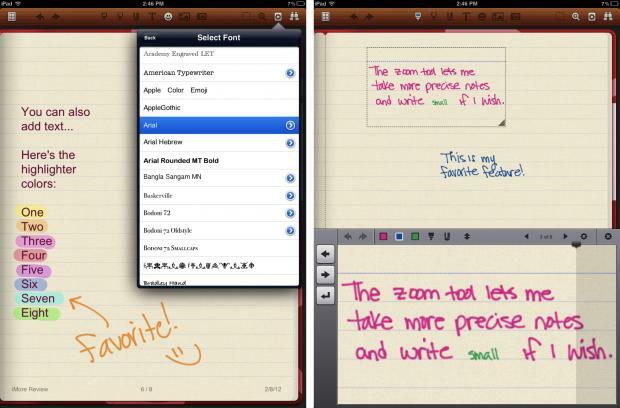 Organize your notes into groups. 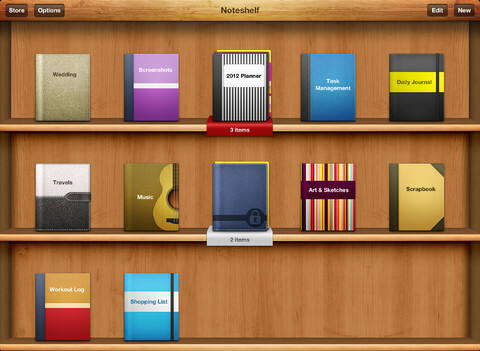 Rank Noteshelf files within folders. Protect your documents. Both notebook and folders can be protected against prying eyes. Tags in your notebooks. This way you can enter keywords in the future to help you find what you want. Your imagination is the limit. Uses million colors for your ideas. Choose from pencil, pen, pencil or highlighter. The better the clearer text. If you are someone who prefer to type no problem. Sea keyboard or on-screen you can enter text without drawing it. Fear not support you. One of my favorite features. 's Up afraid to lean on the tablet while writing with your stylus. You can mark the area where you will support your hand while writing to block it. You can also zoom in if you need more precision. A picture is worth a thousand words. 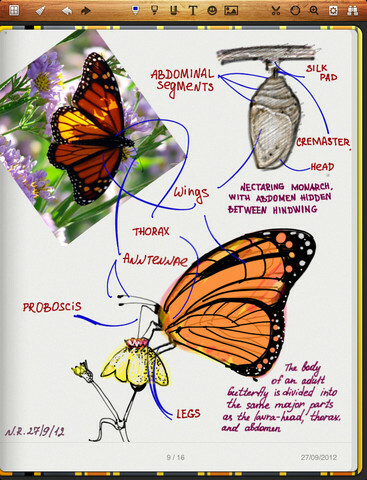 Includes photos taken from your iPad or from your personal library. You can always go back. With undo / redo any change in your grades possible. How to share my notes? Also useful to see much potential that is the opportunity to present our notes on an external display with a VGA adapter. Thus we get a whiteboard, highly recommended for classes and meetings. From my point of view is an app Noteshelf continuously developing, now in its 7th version, and is undoubtedly one of the best applications I know to take notes on the iPad.